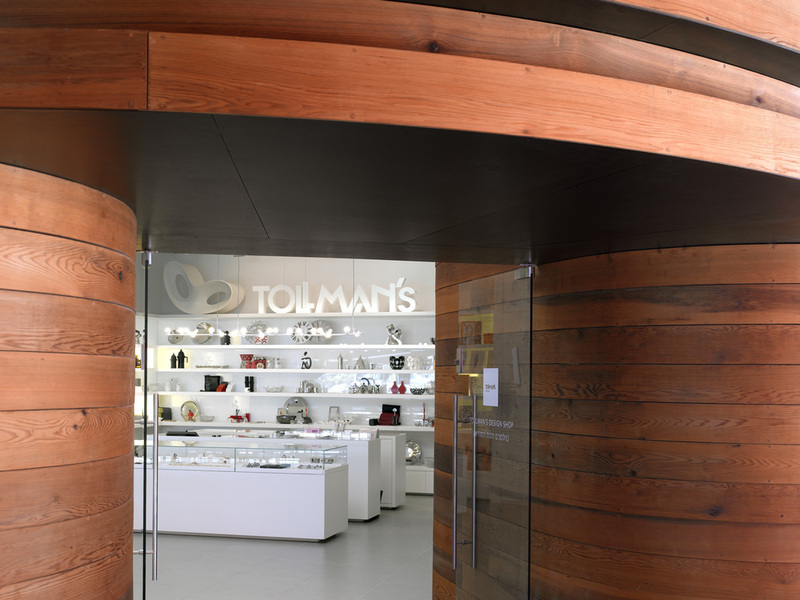 The Tollmans museum store is a showcase of design accessories situated in the heart of the Holon design museum. The building designed by Ron Arad has a wealth of materiality from Cedar wood, Terrazo flooring and Corten steel. The idea was to create a small museum shop painted in white, which reveals all of the technical elements of the space. 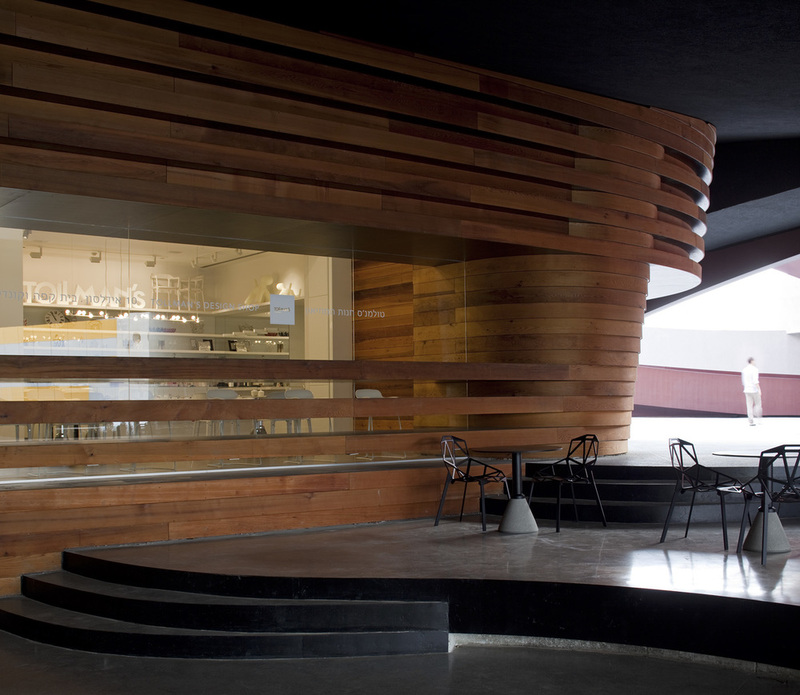 The program is for a multi purpose space that is shared by a cafe that caters to the events of the design museum. The mixed program space creates an interesting juxtaposition between leasure and retail space.